Do you want to enhance your own learning and make the most of your class visits? The Learning Team at Tyne & Wear Archives & Museums offers continual professional development for teachers and education professionals. 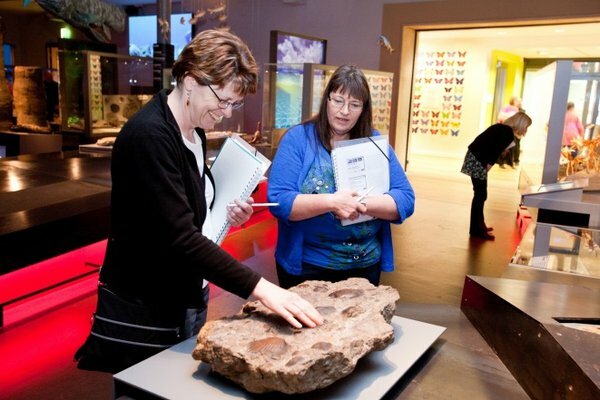 These sessions are led by experienced museum staff that are passionate about using the collections to enhance learning. We are developing our CPD offer for the School year 2014/15 and would love to know what you would like to attend. We have split our offer into five categories, and more details will be added as the programme is finalised. An opportunity for teachers to visit exhibitions, meet the venue Learning Team and learn more from one of the exhibition curators. During previews you will have the chance to explore relevant resources and trails and plan a visit for a group of pupils. Subject specific twilight sessions for teachers using our collections and environments to increase subject knowledge. Modeling our practice and showcasing what we have on offer to enable you to get the most out of a visit. A variety of subject specific courses and workshops providing inspiring and hands-on practical experiences through the use of our unique resources. These events provide the opportunity to increase practical skills and subject knowledge through purposeful, meaningful and relevant activities with specific learning outcomes. We can provide bespoke professional development courses on a variety of subjects. These courses could include a combination of activities from exhibition previews, to practical skills and curator talks. Courses can be developed or modified to meet your specific needs, please contact us to discuss your requirements. Developing projects through constructive dialogue with learning professionals. Sharing knowledge and skills through collaborative work which will enable our museums and galleries to provide meaningful long term engagment with you and your class. Alternatively why not hold your next Teacher INSET day or staff meeting in an inspiring venue? Bring your staff to one of our venues and we can introduce you to the endless possibilities on how to use a venue and its collection in your learning programme. Specialist staff can be there to support you with your planning for part of the day and to give advice on how to make the most of the opportunities to learn outside the classroom.